The German SEW-EURODRIVE Group is a professional production of gearmotors, indusrtial gearbox, multinational frequency electronic equipments, technical level and market share rank world leader. The China SEW-EURODRIVE gearbox manufacture company are since 1995, adhering to the spirit of enterprise "pursuit of excellence, excellence" and puting Germany's advanced manufacturing technology over the years. The Chinese people's wisdom and hard work combined to quality, service, localization three Big development strategies as the main line, conscientious, dependable and hardworking, has developed into a well-known Chinese machinery manufacturing enterprises. 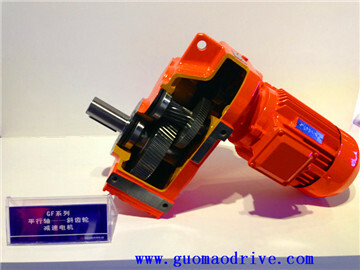 Today, The SEW-EURODRIVE gearbox China branch has a total of three factories in China. With seven assembly and technical service centers, more than 50 offices and service network throughout the country among major cities. SEW-EURODRIVE products are widely used in various industrial fields, light industry, chemical industry, building materials machinery, iron and steel metallurgy, environmental protection, coal mining, automotive, port construction. Become the brand of choice for a number of national key projects. Driving the world – with innovative drive solutions for all industries and for every application. Products and systems from SEW-EURODRIVE are used all over the world. Be it in the automotive, building materials, food and beverage or metal-processing industry – the decision to use drive technology “made by SEW-EURODRIVE” stands for reliability for both functionality and investment.